Director M. Night Shyamalan’s 1999 film The Sixth Sense had the mental state of its protagonist as its central plot theme; now, he’s once again brought us a psychological horror story, Split, whose main character suffers from the twists and turns of his mind - in this case, twenty-three different states of being. In possibly the most complex role of his career, James McAvoy moves from being a person with an obsessive-compulsive disorder, to a woman not unlike Norman Bates’s mother in Hitchcock’s Psycho, to a nine-year-old child, to a gay fashion designer and back again; in short, a number of characters who all have very different personalities, one of whom kidnaps three young girls in a carpark in broad daylight and imprisons them in a dungeon. The girls are terrorised by his dissociative identity disorder and try desperately to escape, as you would, but as usually happens in these situations, only one of them has the strength to deal with their tormentor… or should I say tormentors? Unfortunately this time around, despite McAvoy’s valiant attempt to play each role, which involves not only numerous costume changes but also voice changes (which he does remarkably well), the rest of the film is rather tedious. 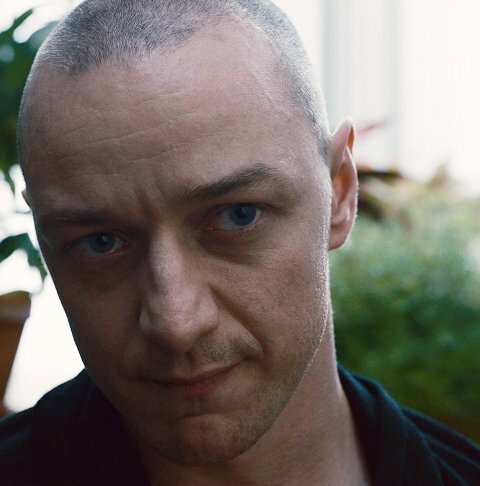 Although a plot device suggests that Split is a sequel of some kind to Shyamalan’s Unbreakable, it doesn’t really deliver. The film fails to hold up to the original ideas that Shyamalan so often devises. As in a number of his previous films, the promise is more than the premise.